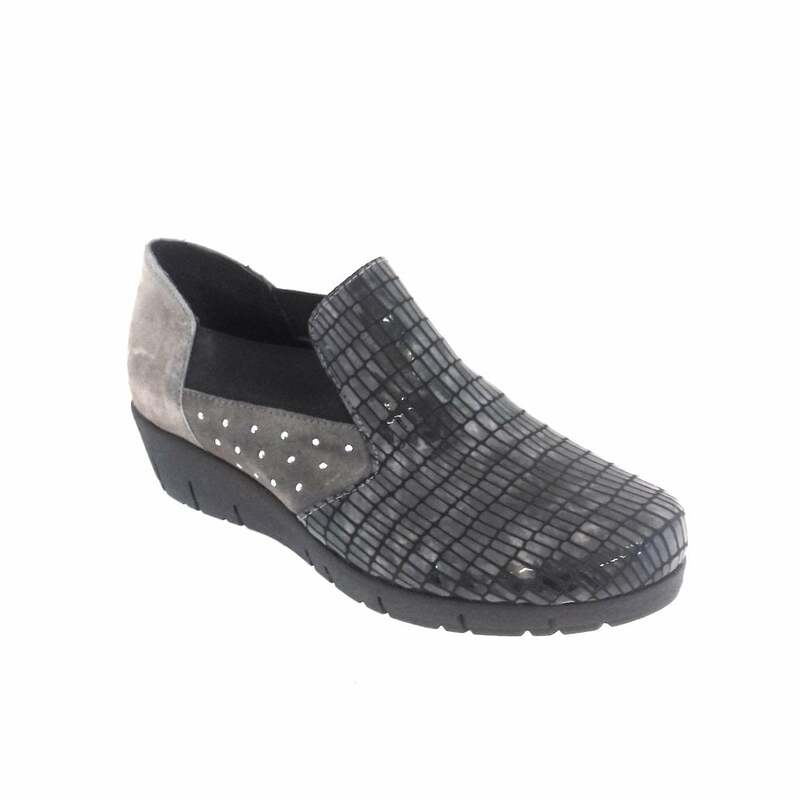 Both stylish and comfortable this ladies HB slip on shoe features a taupe suede and patent print upper set on a wedge sole. A removable insole allows for the insertion of your own specially made insoles. 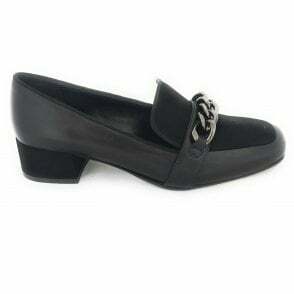 This high fronted shoe looks great teamed with trousers.